We write on comic book piracy, including how comic books and manga have been affected by going digital, and how the industries can react to the problem. Is piracy to blame for the decline in comic book sales? The internet has become a market for all types of content consumption, and comic books are no exception. The problem is that as content becomes more digital it is more shareable, and gradually there is an expectation of an endless, searchable index of on-demand and high-quality content. This expectation could be fueled by streaming services like Comixology Unlimited, just as Netflix has been criticised for contributing to piracy, but also by the sheer ease of accessing a wealth of free content through illicit means, simultaneously with or sometimes even before physical releases in stores. But have pirated comic books now become a real threat to the industry? There are mixed opinions on this. On the one hand, comic book piracy has been shown to increase sales, although this has thus far only been found to apply to finished Manga comics, where ongoing Manga titles see a decrease in sales. As researcher Tatsuo Tanaka explains, piracy is a double-edged sword: the “displacement effect [of piracy] is dominant for ongoing comics, and advertisement effect is dominant for completed comics”. If we take this data as representative of the wider comic industry, it shows how comic book piracy has an impact on emerging artists and writers. But there is indication that rising levels of piracy are starting to affect even the Big Two; in the US direct market where comic book sales have fallen over 13% year-on-year, Marvel have recently resorted to cancelling 28 titles. It’s something to marvel at indeed given that superhero movies have of late experienced such success: in 2016 the top 8 superhero movies earnt over $1.9 billion in box office revenue, shooting up from the mere $688 million collected in 2015. But it is possible that comics are enjoying knock-on surges in readership, but sales are suffering as more fans turn to pirating digital copies. Pirated comic books are rampant, and they have only been made easier and more desirable by the availability of digital comics as well as the growth of eBook readers. Where once comic books had to be purchased in brick-and-mortar stores and painstakingly scanned and edited onto a computer page-by-page, now uploaders can use software to rip digital copies and remove DRM - or even just take high-resolution screenshots of comic books to upload online. This is exactly what one major torrent uploader, going by the name Nemesis43, is doing. Using files ripped from Comixology, the torrenter uploads comics worldwide, on release days before most shops are open to sell physical copies. Nemesis43 is hailed as a hero by comic book pirates: when the user was offline during a house move last year, pirates had a meltdown, calling the period “the hell month”. The same thing happened when Nemesis43’s upload base KickAssTorrents went down last year. And many other means, unfortunately, are strangling comic book sales. From Facebook pages that post comics in their entirety, messaging apps like Telegram used to pirate books and sites like GetComics that offer both instant download and ‘read online’ options, the availability of pirated comic books has never been higher. Of course while it may be true that not every pirated comic equals a lost sale, when these means of piracy begin to profit from their endeavours, pirates can no longer claim that they aren’t stealing. This is unfortunately the reality of digital piracy, as gain from advertisers can easily be 90% net profit on user-uploaded piracy sites. There have been efforts to ban advertising on piracy apps and sites, but these have resulted in lost revenue by major ad agencies more than anything else; high levels of traffic will always attract advertising from some source or another. And even pirates who volunteer their time in order to share beloved comics are - however inadvertently - administering kryptonite to the industry. As Kotaku details, legitimate translators of Japanese Manga struggle for work due to ‘scanlating’ pirates. Scanned-and-translated uploads drive piracy where a gap in the market could exist for legitimate publishers and translators to otherwise expand into, thus supporting future projects. The same goes for streaming services; if Comixology Unlimited could expand globally perhaps piracy rates would be down, but as the demand is fulfilled by piracy perhaps the company would struggle to sway fans toward paying for content. Within the world of comic books, piracy all points toward changing demands of consumers, namely increased availability and digital offering of texts. But is it too late for the legitimate side of the industry to react? Well, not necessarily. Marvel Unlimited, Comixology Unlimited and the whispers of an upcoming Amazon Prime - DC deal all serve to adapt the industry to consumers’ demands, on subscription models which have of course seen success in the music and movie industries. DRM-free models are also becoming more standard so that users can own the digital comics they buy, in a move that responds to the inevitability of uploads. After all, if uploaders are willing to spend hours painstakingly scanning and editing Manga and other comics for voluntary uploading, they’re unlikely to draw the line at quickly removing a DRM. What will be effective, coupled with the continued innovation of the industry, is hinted at in the panic seen following the disappearance of comic book uploader Nemesis43. With systematic takedowns on the platforms that facilitate comic book piracy, comic book fans, unable to access favoured titles will have to turn to legal alternatives. And with improved options for buying comics legally and cheaply, it’s just possible that habits could be reformed for good. 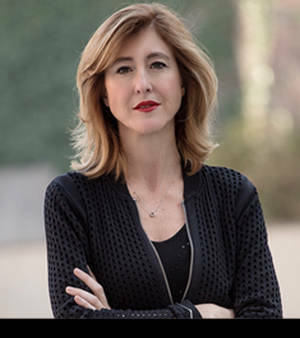 Red Points' CEO Laura Urquizu has over 20 years experience as an executive and board director in banking, venture capital and startups. She has worked with companies like Arthur Andersen, Caja Navarra, Corporación CAN and Inspirit. Laura is a respected expert in the startup field and innovation-based businesses.